India’s top singles player Prajnesh Gunneswaran advanced to the main draw of the Miami Open after defeating Great Britain’s Jay Clarke in straight sets to confirm a match against Jaume Munar. This will be Gunneswaran’s second straight Master’s main draw appearance after Indian Wells last week. The World No. 84 was the favourites going into the clash after his impressive form in the Indian Wells last week, where he could reach the third round. And he had it pretty easy against the 20-year-old Brit as he won 6-4, 6-4 in the second qualifying round of the ATP-1000 tennis tournament. 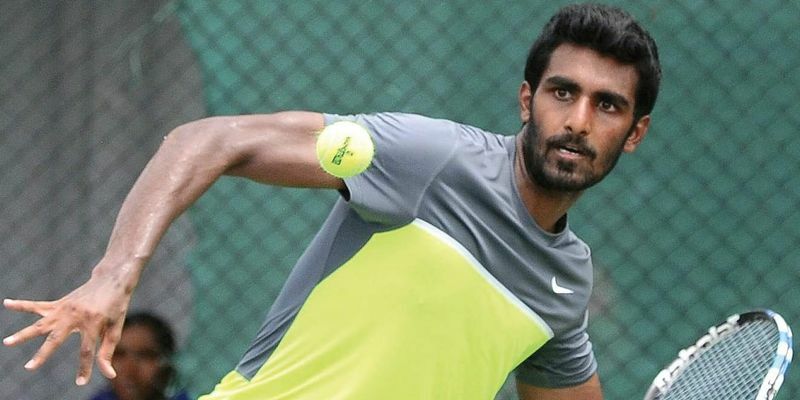 29-year-old Gunneswaran, who reached a career-high rank of 84 only earlier this week, was brimming with confidence as was evident in the way he began things. He broke Clarke in the very first game itself of the first set and managed to save two break points in the other games. The first set finished in 49 minutes and Clarke looked out of steam and will there itself. Nothing different was expected in the second set either and Gunneswaran started by breaking the World No. 196 in the first game yet again. Though Clarke looked stubborn this time as he saved two break points, it eventually took the Indian even lesser time to seal the second set. Gunneswaran would play Spain’s Jaume Munar in the first round main draw on Friday, beating whom could the Indian face South Africa’s World No. 7 Kevin Anderson.